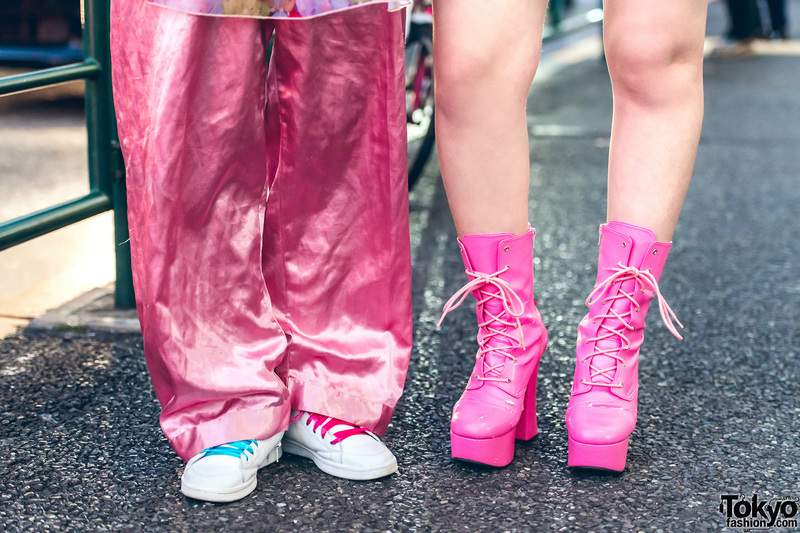 On a recent stroll around the Harajuku neighborhood, our eyes were immediately caught by Emiry and Natsuwo, two teens who are both dressed in their own pink fashion styles. At the left is 19-year-old Emiry sporting long pink hair. 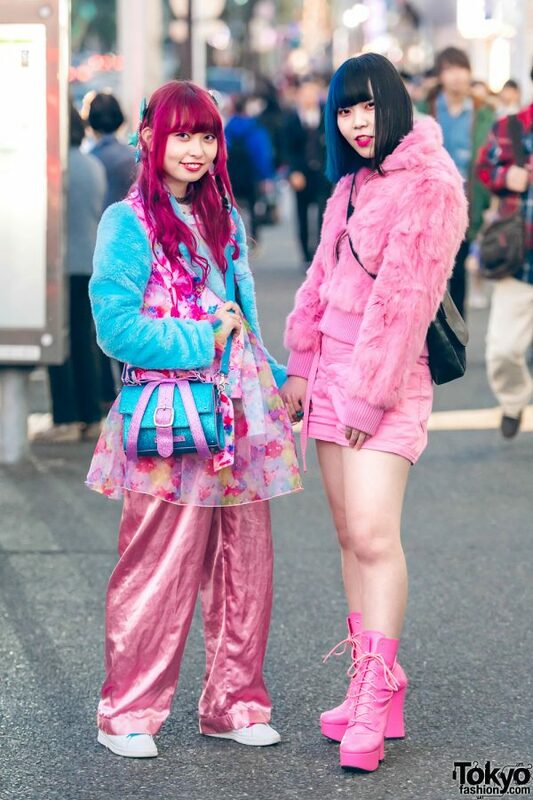 Emiry’s two-tone pink and blue outfit consists of a printed jacket with fuzzy blue sleeves, which she wore over a sheer printed dress – both from kawaii fashion label, 6%DokiDoki. 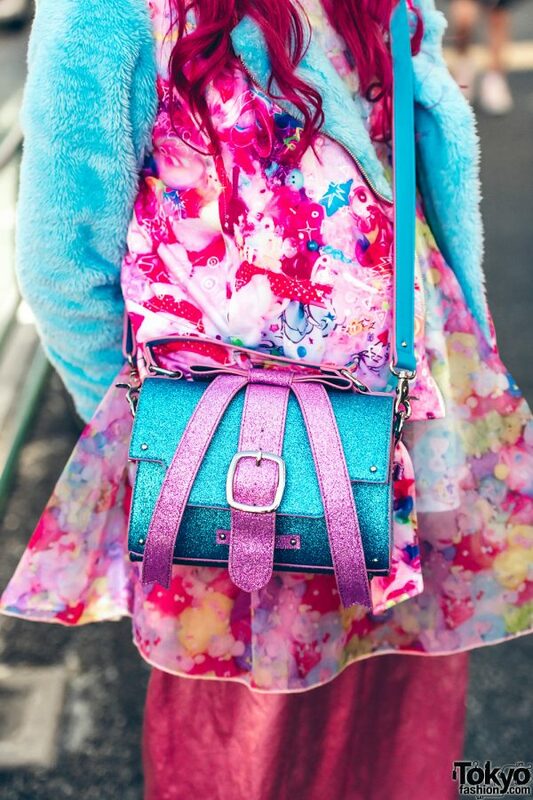 Pink satin pants from New York Joe, white sneakers with blue and pink laces, and a blue and pink glitter bow bag from Candy Stripper completed her outfit. Accessories – from 6%DokiDoki and Swimmer – include blue hair bows, a tattoo choker, and colorful decora rings. Emiry’s list of fashion favorites include RRR by Sugar Spot Factory, Candy Stripper and 6%DokiDoki. 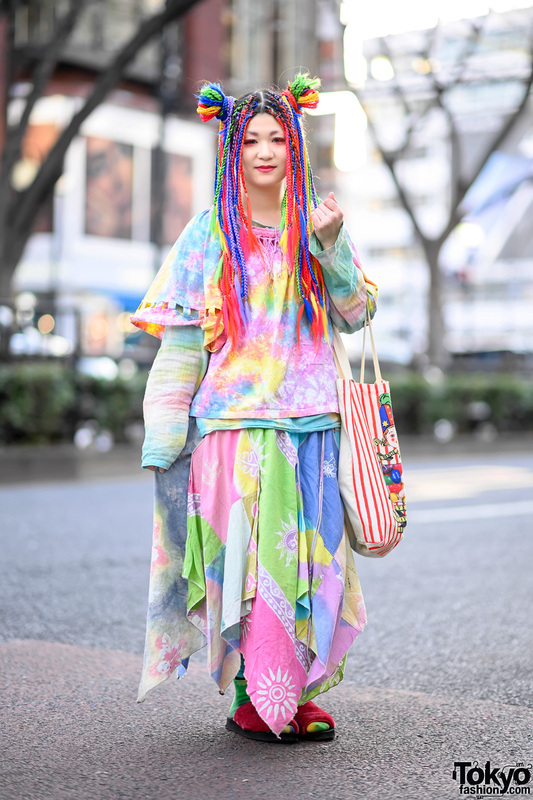 She likes listening to Block B, Momoiro Clover Z, Twice and KPP. Meanwhile, 18-year-old Natsuwo, a fashion college student, is sporting an all-pink ensemble. She started off with a faux fur hoodie jacket, worn over a Faith Tokyo glitter fabric shirt. She then added pink twill shorts from H&M, and pink platform lace up heeled boots from Assist Wig. She contrasted her all pink outfit with a black crossbody bag. G2? 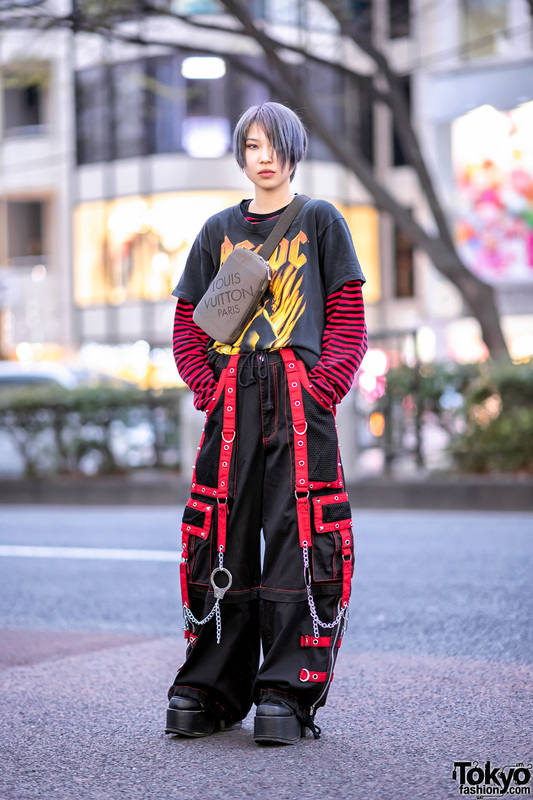 is Natsuwo’s favorite fashion brand, while Japanese rock groups Wasureranneyo and My Hair is Bad are her musical favorites. Follow Natsuwo on Twitter.